It’s been a crazy pass month! Turning 21, finishing up a year of full time work, and getting ready to go on exchange! It’s so easy to get caught up in everything that’s happening, sometimes I just need my friends to come up to me and tell me to slow down. Since finishing up working full time, I’ve found myself with lots of time on my hands and have been filling it with catching up with all my friends! It’s become evident I would not be who I am today without all these amazing people in my life. Someone once told 13-year-old me that “you are your closest five friends”, and this has stuck with me ever since. Throughout your life, you lose connections with people, but meet new people along the way, then you also have the people that stick around for the ride. (Sometimes I wonder why some of my friends hang around… but I love them for it). So, we’re constantly changing and redefining who we are as we journey through life. Although we are constantly changing, I believe, if we keep our core self and beliefs, it’s okay to change and redefine ourselves, it’s the only way you can discover your best self! As new people come into our lives, we can discover talents we never knew we had. Being able to surround myself with people that inspire and challenge me has made me who I am today, and I couldn’t be more grateful. I know the people I surround myself bring the best out of me and support me no matter what, including all the random spontaneous things I decide to do. I think we all need some crazy in our lives! That’s how we keep it interesting! Just like how friends can bring out the best of you, I took the best parts of some of my favourite desserts! 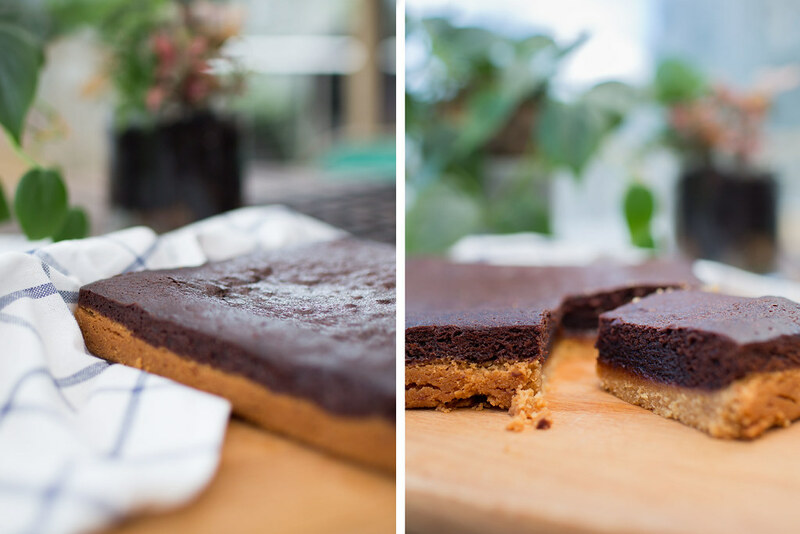 I combined the biscuit base of a cheese cake, with some sweet, gooey, chewy caramel, topped with a spongy brownie. 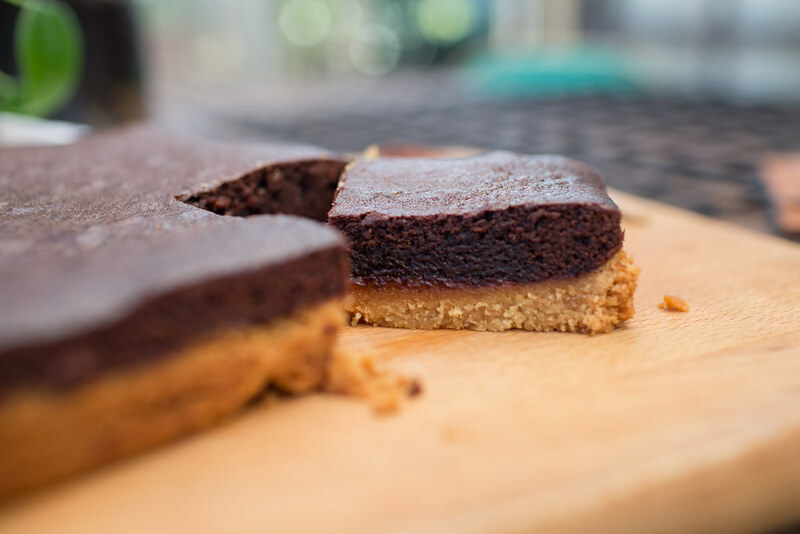 The crunchy, crumbly base is the perfect contrast to the rich spongy texture of the brownie. 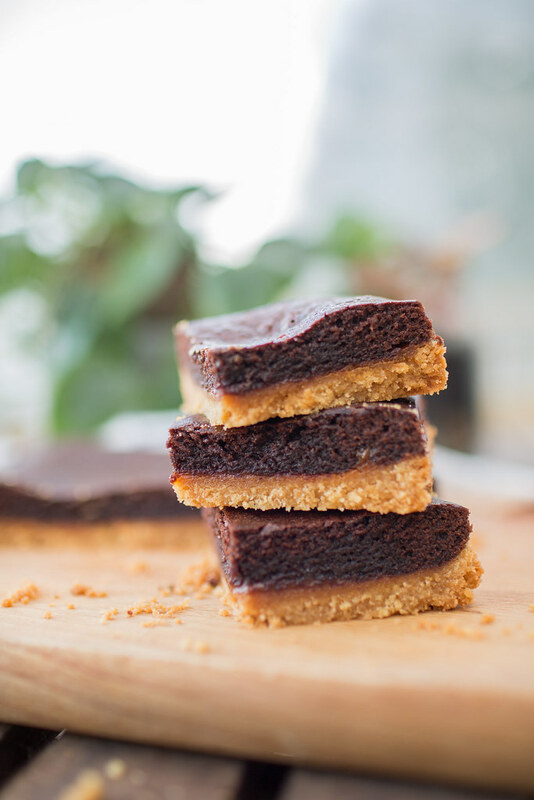 The hidden layer of caramel becomes a lovely surprise, making it the perfect indulgent treat! Combine vanilla essence and thickened cream in a jug. Set aside. In a sauce pan, stir water and caster sugar. Then place sauce pan on a medium heat and do not stir. Swirling pan occasionally until mixture is a deep amber. Remove from heat. Slowly add cream mixture, stirring constantly. The mixture will bubble and foam, be careful as it is very hot. Once the cream has been incorporated, set caramel aside. Prepare 20 x 20 cm square tin with baking paper. Place nice biscuits in a food processor, process until finely crushed. Melt butter and add to biscuits. Process until combined. Transfer mixture into square tin and press firmly with a back of spoon. Spoon 1/4 cup caramel on top of the biscuit base and spread out evenly, leaving about a 1 cm around the edge. Place into fridge for half an hour. Melt butter in sauce pan. Remove from heat. Mix in sugar, eggs and vanilla essence. 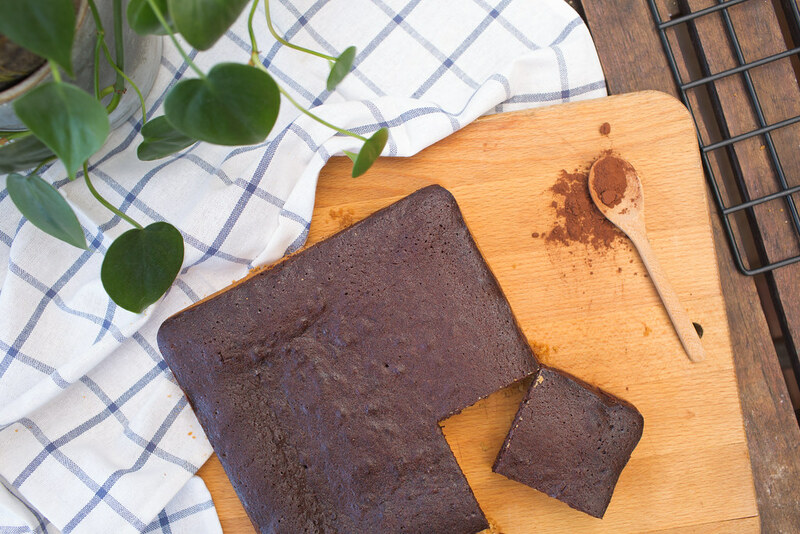 Beat in cocoa, flour, salt and baking powder until combined. Pour into prepared tin with biscuit base. Bake in oven for 25-30 minutes, or until a skewer inserted comes out clean.